November 28, 2018 Update: Our MVP nomination process has changed since the publication of this blog post. To find out more, please read this article. Salesforce MVP nominations are in full swing and we are incredibly excited to award our next MVP class in just a few days! While we work on creating the final list of MVPs that will be awarded in this round, we thought this would be a great opportunity to share with our community how the MVP nomination process works. Before we hop into the nomination process, let’s take a step back and talk about how we define a Salesforce MVP. 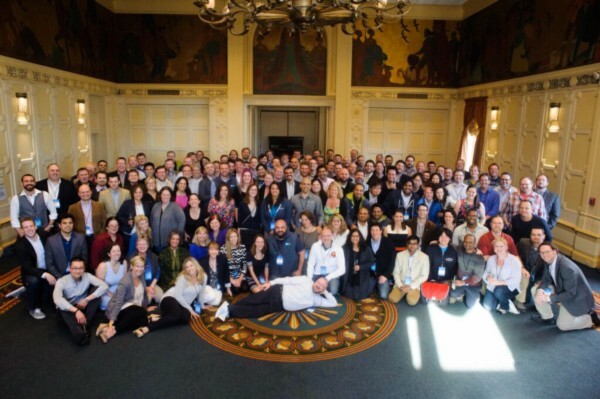 A Salesforce MVP is an exceptional individual within the Salesforce community recognized for their leadership, knowledge, and ongoing community contributions. These individuals represent the spirit of the community and what it is all about. As mentioned above, MVPs are recognized for their contributions to the community. 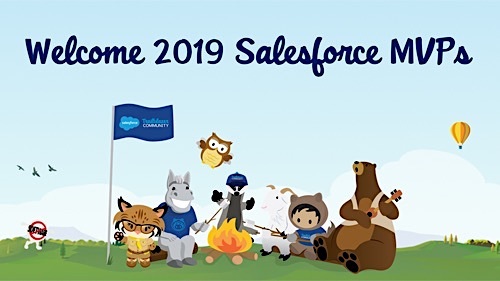 Some examples of those contributions include (but are not limited to): creating and sharing valuable content through blogs, being a brand advocate for Salesforce, running active Developer Groups and User Groups, responding to posts on #askforce, and answering questions in the Success and Developer communities. We award MVPs for their individual contributions, not based on the overall company they work for, and while product expertise plays a role in our decision, it’s a combination of expertise and characteristics like leadership and accessibility that make up what we look for in an MVP. To be eligible to be chosen as a Salesforce MVP, you must have been active in the community for at least the previous year. If you’ve nominated someone that’s been active for the last several months, but not quite a full year, don’t forget to nominate them when we open up the next round of MVP nominations! 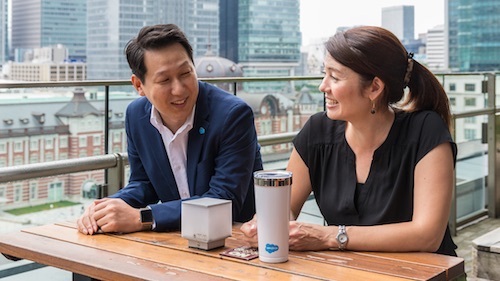 Salesforce MVP nominations are open two times a year for three weeks at a time and are announced on Twitter and in the community. We ask our community members and Salesforce employees to nominate individuals (or community members can nominate themselves) that they think demonstrate the characteristics listed above, including examples of why this person deserves the MVP title. Each and every nomination is considered for the MVP award; a person does not have to be nominated multiple times to receive the MVP award. We don’t have a specific number of MVPs we award in each nomination round; our goal is to pick the people that have earned this award whether it be one or fifty. Our team's philosophy is to include community input in everything we do, and the MVP nominations are a great example of that. After the community nomination period closes, we take all of the information we’ve collected and put it into a survey that our current MVPs use to give us feedback. Our MVPs are active in many different community channels and have a unique and valuable perspective on the people contributing to the channels that they themselves are most active in. We give our MVPs a couple weeks to provide their thoughts and share examples with us on ways the different candidates have been active in the community. 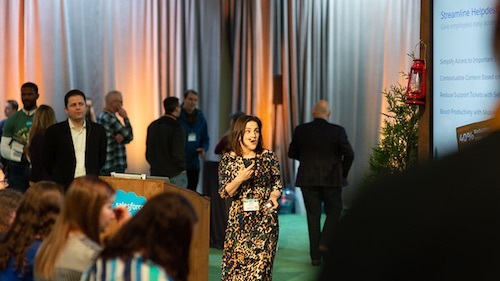 After the MVP Feedback round closes, a group of program stakeholders at Salesforce meet to review the original community nominations, review the current MVP feedback, and to share our own feedback from experiences with the MVP nominees. This group of stakeholders includes members from different teams such as the Success Community team, Salesforce.org Community team, Partner Community team, Developer Community team, Admin Community team, AppExchange Community team, etc. We have this diverse group of internal representatives join us to review the nominations so we can ensure all communities, groups, and regions are fairly represented as we share our own feedback about each of the nominees. This is personally one of my favorite parts of the MVP nomination and awards process, as the meeting is spent sharing stories about all of the awesome things the members of our community are doing. Once we get started sharing these stories, it’s almost impossible to stop because there are so many great ones. Our community members are incredible! With all of the information listed above, using community feedback, MVP feedback, and feedback from our teams here at Salesforce, we create the final list of new MVPs to be awarded! All of the new MVPs are notified the night before we make the official announcement which we post on Twitter, in the community, and on the Salesforce blog. We can’t wait to award our newest class of MVPs! Keep an eye out for our announcement in the next few days.